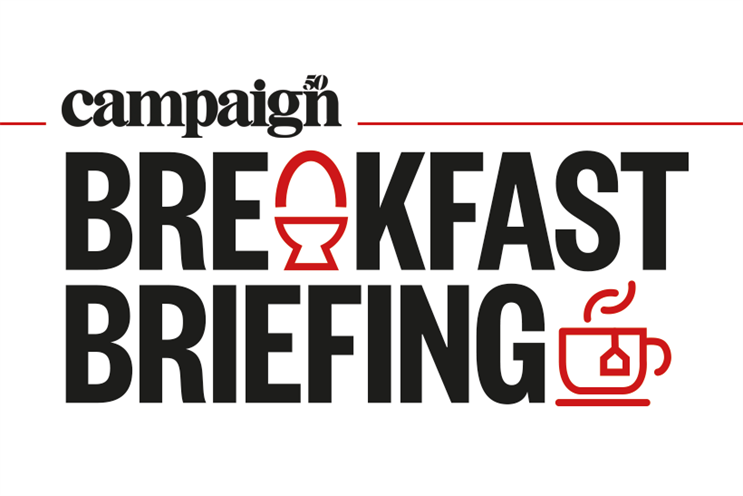 Magnus Djaba, David Abraham, Julie Langley and Lorna Tilbian will be among the speakers at Campaign's breakfast briefing with Sir Martin Sorrell and MediaMonks. "Back to the Future: When Sorrell met MediaMonks", in association with M&A adviser Results International, takes place on 1 November when Sorrell, executive chairman of S4 Capital, and Victor Knaap, chief executive of MediaMonks, will talk on-stage together for the first time since merging their firms. Djaba and Abraham, two of the most senior figures in the UK advertising and media industries, will talk about the changing needs of brands and the future of the agency model. Djaba is global president of Saatchi & Saatchi, with responsibility for global clients, and chief executive of Saatchi & Saatchi UK at a time when parent company Publicis Groupe is pushing a "power of one" model that brings together different marketing disciplines. Abraham recently co-founded Wonderhood Studios, a new kind of creative company that combines programme-making with creative agency skills. He was previously chief executive of Channel 4 and a founding partner of pioneering creative agency St Luke’s. Tilbian and Langley are both experienced media M&A deal-makers in the advertising, media and technology sectors. Tilbian, a leading media banker in the City for more than 30 years, is an independent director of several leading, listed companies including M&C Saatchi, Rightmove and Euromoney Institutional Investor. Langley is a partner at Results International and has more than 20 years’ experience advising technology, marketing and digital media companies on M&A and fundraising. More speakers for the breakfast briefing will be announced. Sorrell, the former chief executive of WPP, founded S4 Capital in May, merged it with Dutch creative production platform MediaMonks in July and floated it on the London stock market in September. He is positioning S4 Capital as "a new era, new media solution embracing data, content and technology in an always-on environment for global, regional and local clients and for millennial-driven digital brands" and expects to make further acquisitions. "We’re going to do things a little differently than others do, because we’re not a legacy company," Knaap recently told Spikes Asia 2018. MediaMonks is "not an agency" and "not a consultancy", he said. "Back to the Future: When Sorrell met MediaMonks", in association with Results International, takes place on 1 November at Curzon Soho in London. Tickets are available here.